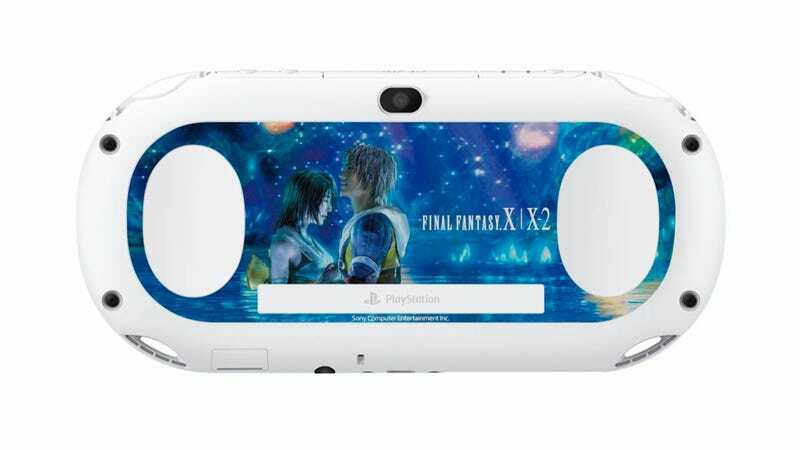 To mark the release of Final Fantasy X/X-2 HD Remaster, Sony is releasing a special Vita Slim. But this isn't the only one. Sony is also releasing Vita Slims for Gundam Breaker and God Eater 2. The Gundam Breaker one is part of a "Starter Pack" that comes with plastic Gundam models. The set is priced at 29,480 yen ($300) and will be out on October 31. The God Eater 2 Fenrir Edition will be out on November 14 for 25,960 yen ($260). The Final Fantasy X/X-2 HD Remaster Vita Slim will be out sometime this year.